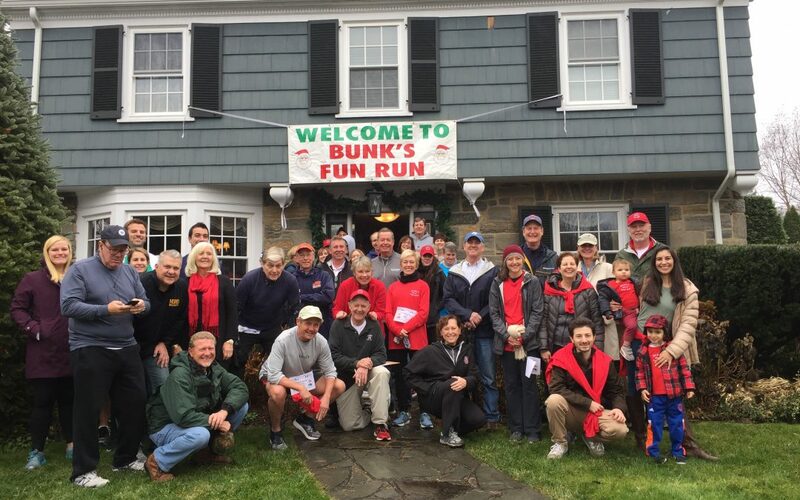 Bruce and Susan Reitz hosted over 50 people at the 34th Annual Bunk’s Fun Run on Sunday, December 2nd. Their college friends, neighbors, Board Members, staff, and other S/PA supporters raised a record of over $12,000 for scholarships for inner city students for Student Partner Alliance. The light rain didn’t keep the enthusiastic 25 walkers and 7 runners off the streets of Montclair. This year’s male winner was Bryan McCough with a time of 25:13, and the female winner was Jessica Dunkel with a time of 32:15. We even had our youngest contestant, Board Member Danna Jacob’s son Rider(4), complete the run with his father! Susan and her team of amazing cooks and bakers presented a feast after the event, and many warmed up outside by the firepit.